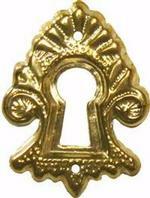 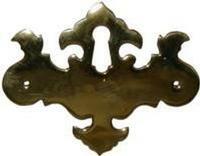 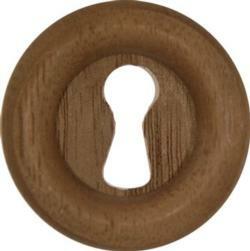 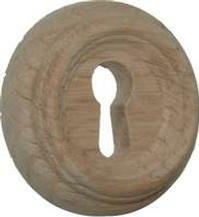 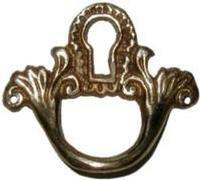 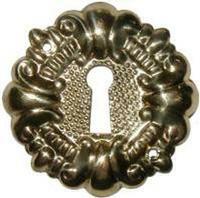 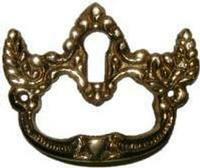 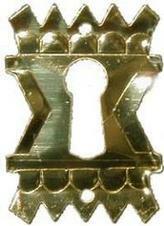 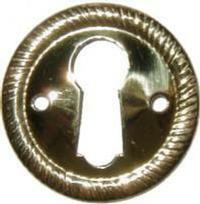 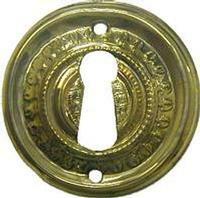 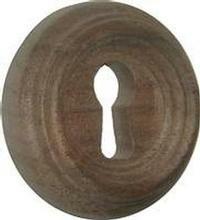 The period between the 14th and 17th century was marked by artistic accomplishment in lock making. 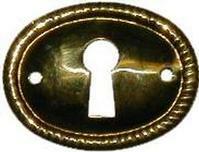 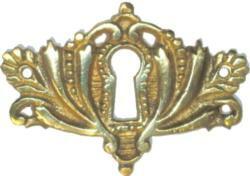 American Locksmiths became skilled metalworkers, and were developing an international fallowing. 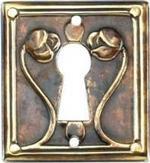 Few improvements were realized in locking mechanisms however, and security depended upon intricacies such as hidden keyholes, trick devices, and complicated warding. 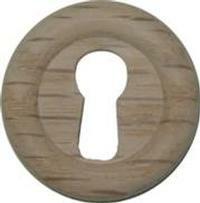 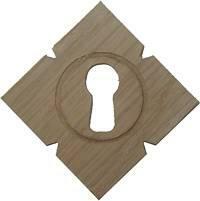 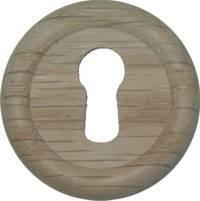 Brass Vertical Keyhole Pull- 3 9/16" x 11/16"
Brass Victorian Keyhole Cover - 1 1/4" x 2"
Round Oak Keyhole Cover & Boss - 1 1/16"
Round Oak Keyhole Cover & Boss - 1 5/16"
Round Oak Keyhole Cover - 1 1/16"
Round Oak Keyhole Cover - 1 5/16"
Round Walnut Keyhole Cover - 1 1/16"
Round Walnut Keyhole Cover - 1 5/16"
Stamped Brass Keyhole Cover 1" dia. 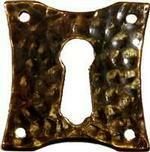 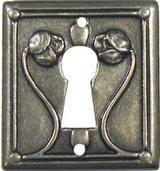 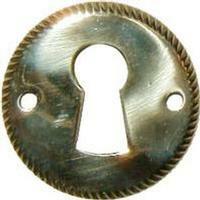 Victorian Keyhole Cover 1 1/8" x 2 1/2"
Victorian Keyhole Cover 1 3/16" x 2"
Victorian Keyhole Cover 1 5/32" x 1 7/8 wide. 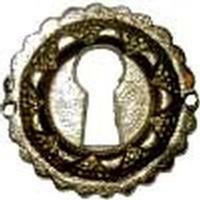 Victorian Keyhole Cover 1-5/16" x 2-7/16"
Victorian Keyhole Cover 1-9/16" x 1-3/16"
Victorian Keyhole Cover 2-1/2" x 1-1/8"